We have over thirty years’ experience when it comes to working with concrete. We offer a wide range of services in South Yarra, including concrete testing, cutting and sawing; and core drilling. If your project involves working with concrete, we can help! We can work on any project regardless of what needs to be done. We are one of the largest concrete cutting South Yarra companies and work with residential and commercial clients. We offer these services in the South Yarra area but can work within a larger radius thanks to the mobile container we use to transport our equipment. The services we offer include concrete core drilling, grinding or scarifying and concrete demo or hand sawing. 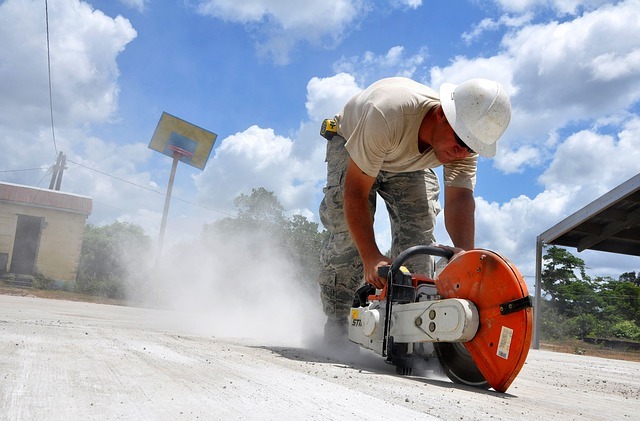 We offer sawing services for walls and roads and will use a hydraulic saw if you want to avoid fumes. We also offer GPR or Ground Penetrating Radar services to better assess what needs to be done. We have worked on different high-profile projects, including the Regional Rail Link or the removal of the Springvale Level Crossing. We are fully dedicated to doing the best job we can regardless of the project we are working on. Our experts always follow industry standards for safety reasons. You can rely on us to provide you with an accurate quote within the same day, to complete the work on time, to complete your project without going over budget and to clean up the work site when we are done. You can expect the best workmanship and service through every step of your project. Do you need a quote for your concrete cutting South Yarra project? Give us a call at 1300 920 419.